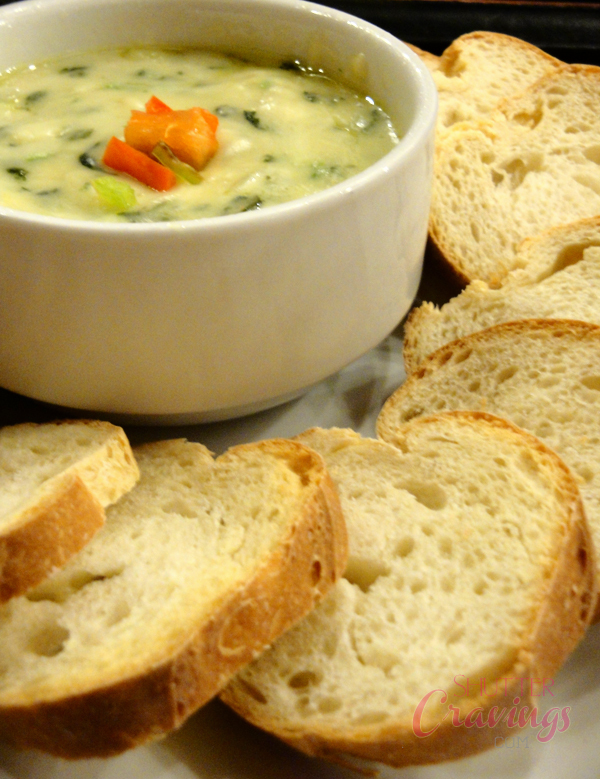 One of the things I really recommend when you get the chance to dine at Bigby's Cafe & Restaurant is their Blossoming Spinach Dip. 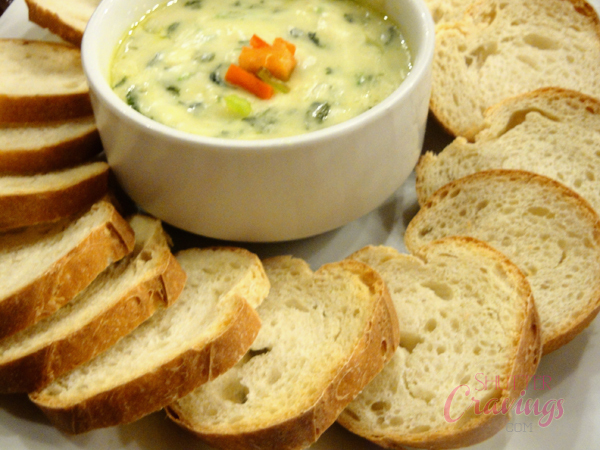 It is a delectable blend of creamy mozarella and parmesan cheese mixed with minced spinach and served together with baguette toasts. It is best consumed while it's a bit hot and creamy. One serving is perfect for sharing but with my intense love for cheese, I can consume the entire serving all by myself. Seriously. 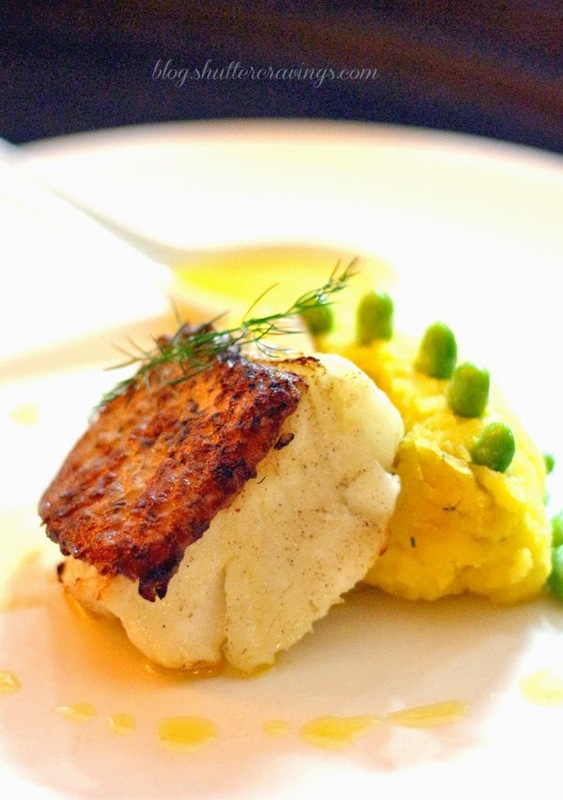 Priced at around Php 200, this dish is worth the price. 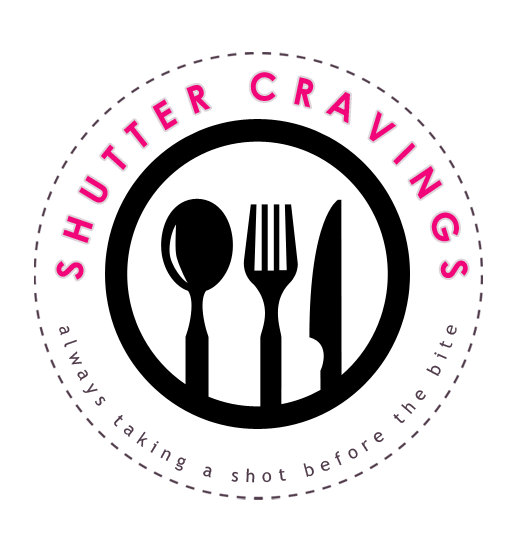 It can truly satisfy a craving palate and a hungry tummy. Ever since I had tried it, it has instantly become a favorite at Bigby's. 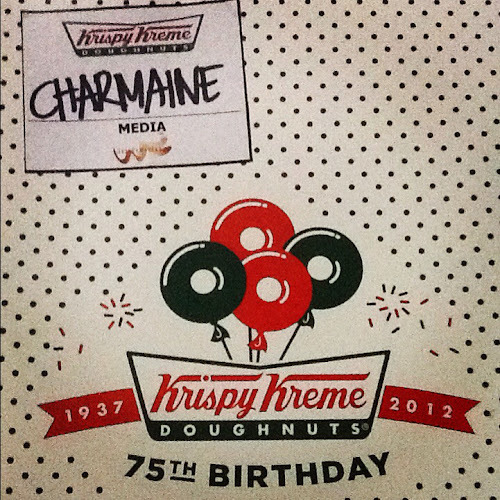 I can still vividly remember the first time I fell in love at a first bite of a hot and fresh original glazed doughnut. It was a rainy July 07, 2010. I dropped by at Krispy Kreme Mall of Asia to buy 2 dozen of doughnuts to bring home to my family and friends. 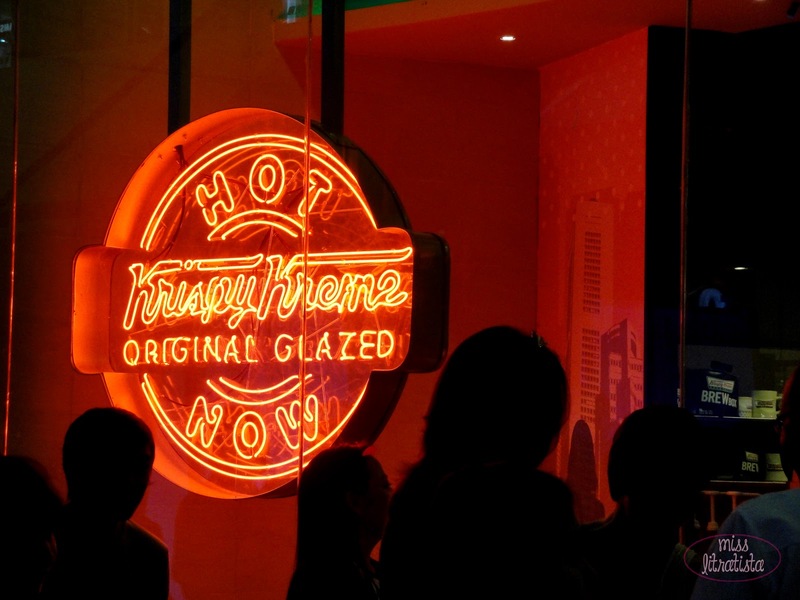 I didn't knew about the hotlight then - what it truly meant - not until when it was switched on and the lady at the counter asked me if I wanted to have fresh and hot original glazed doughnuts. Realizing that I can be hungry while waiting at the airport, I ordered one and paired it up with a cup of hot caramel latte. 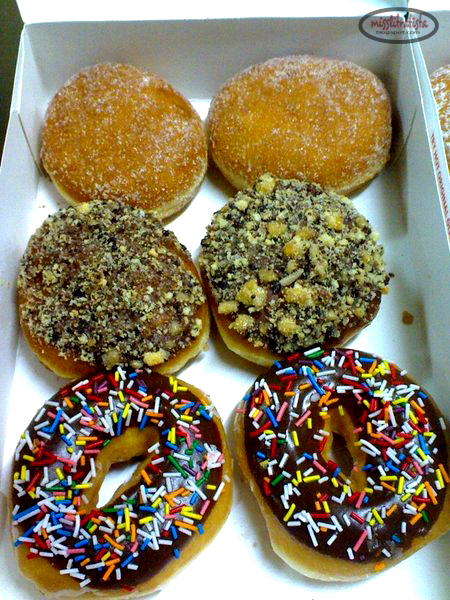 The fresh and hot doughnuts plus a warm cup of coffee on a rainy day ignited my love for the original glazed doughnut that time. It was so great that other varieties of doughnuts became less attractive to me. Before I get to the heart of this post, I will first let your eyes meet these sweet treats. 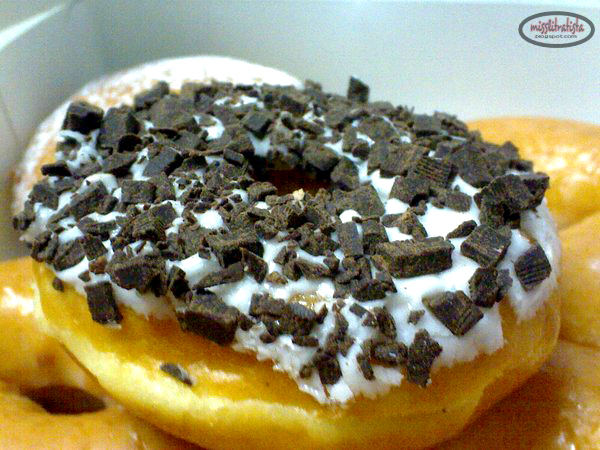 Who would not love the smell and taste of hot and fresh doughnuts? Who would not be enticed with the stimulating aroma of freshly-brewed coffee? And who would not mind getting your favorite donut and drink without the worry of parking space because there's a drive-thru counter? 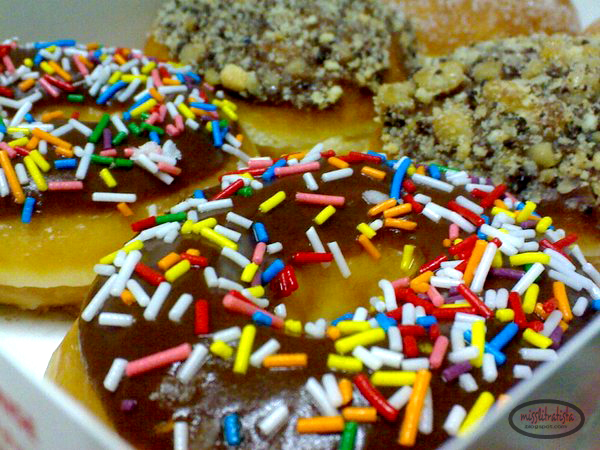 KRISPY KREME IS FINALLY COMING TO DAVAO VERY SOON! Stay tuned in my blog for more updates.